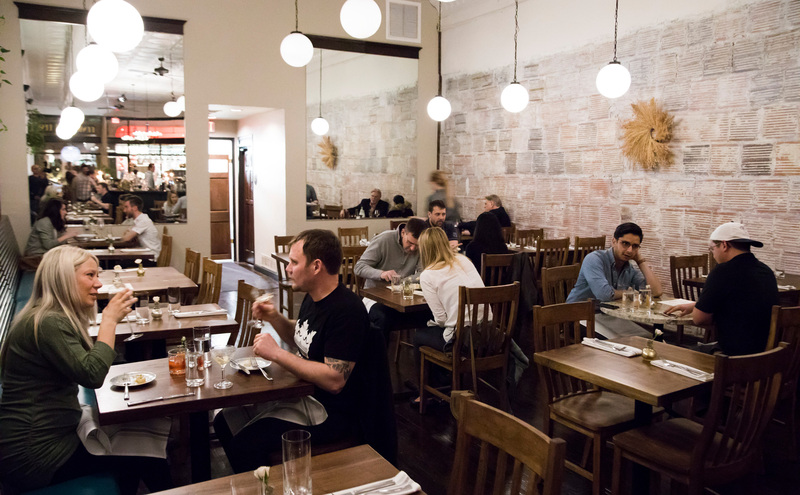 This big city on the Great Plains may be best known for its sublime steaks and world-class zoo, but you’ll also want to explore diverse restaurants, the hip music scene and revived historic neighborhoods. 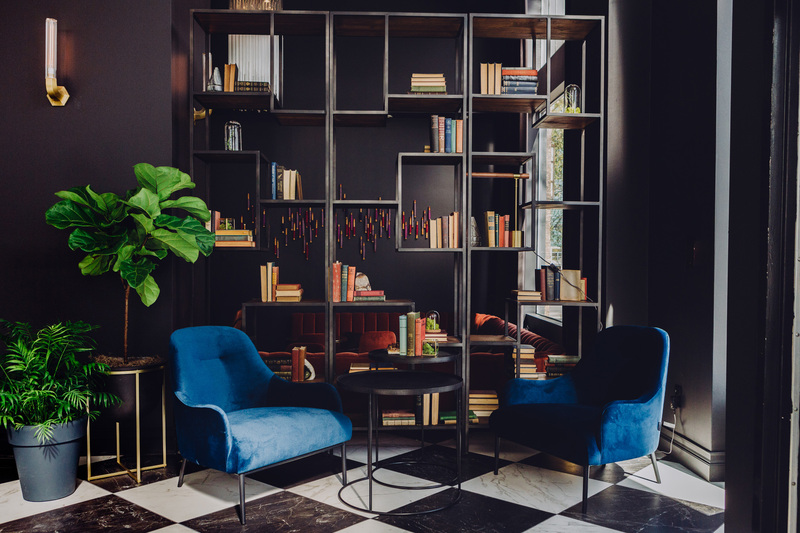 Deluxe check-in @ 4 p.m.
At Hotel Deco XV, bold colors and sleek furniture give a modern feel to the Art Deco tower, which is on the National Register of Historic Places. A recent remodel freshened the lobby and added the Monarch Prime & Bar restaurant, a high-end steakhouse. Relax in your room with amenities such as multi-jet showers and fluffy bathrobes. Open your mind @ 5:30 p.m.
Stroll the brick streets of the Old Market, where bars, eateries, and specialty shops fill century-old warehouses. The most unusual repurposing? KANEKO. Japanese artist Jun Kaneko upcycled three old buildings into “open space for your mind,” featuring innovative exhibits that merge art, science, and nature. Check the events calendar for avant-garde performances and classes for creatives. 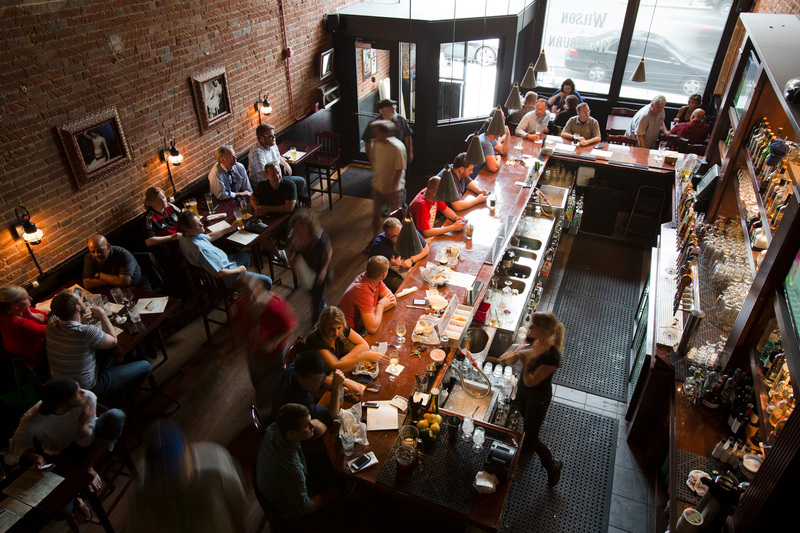 A taste of history @ 7:30 p.m.
Take a seat at Wilson & Washburn, a comfy downtown pub with soaring ceilings and named for two madams from the city’s salty start. It’s a top spot to get a Reuben sandwich, an Omaha creation. Local legend says a grocer named Reuben created the grilled corned beef on rye with Russian dressing. W&W serves an updated version, with smoked brisket and a mellow sauerkraut, accompanied by a side of fries or addictive housemade potato chips. Pair your sandwich with a craft beer, or toast the bar’s namesakes with cocktails like Queen of the Underworld. Go down the rabbit hole @ 9:30 p.m. Walk through Looking Glass Cigars & Spirits, a fancy little liquor store next to the Hotel Deco lobby, and see if you can find The Wicked Rabbit. A secret door opens into a swanky speakeasy serving cocktails of bygone eras in a thoughtfully designed space, all the way down to golden rabbit-head coat hooks. Fuel up @ 8:30 a.m.
Beautiful baked goods filling the glass cases at downtown’s Culprit Café make your first decision of the day difficult. Maybe grab an oversized scone or artisan doughnut to go. Or linger over a breakfast dish, such as the French toast with homemade challah and rosemary-maple syrup. Choose one of five brew methods for your cup of coffee, or try local teas from The Tea Smith. Picnic prep @ 9:30 a.m.
Plan ahead for lunch by stopping at Oma’s Deli. This little cafe on downtown’s southern end makes simple but delicious sandwiches on crusty baguettes. We suggest the pesto-laden mozzarella or the ham sandwich, dolled up with gruyere and scallion butter. 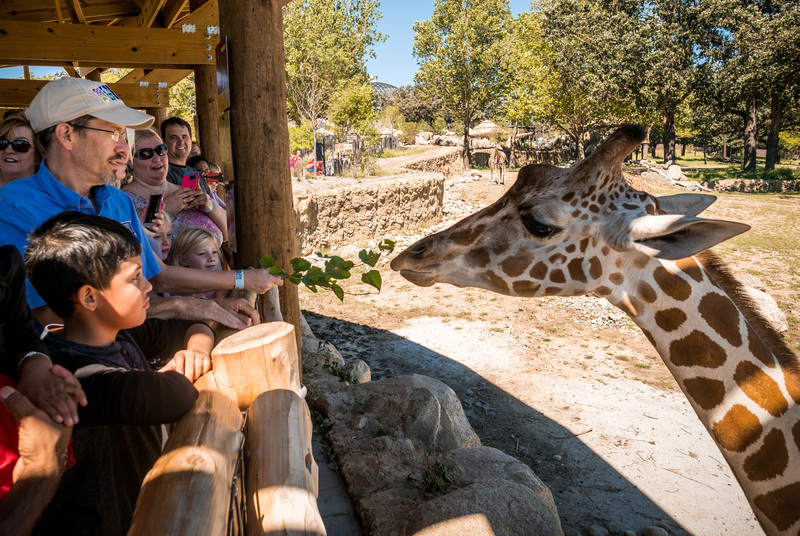 Go wild @ 10 a.m.
One of the nation’s top zoos, Omaha’s Henry Doorly Zoo and Aquarium sprawls across 160 acres. Elephants, giraffes, and cheetahs roam savannas in the African Grasslands, which was designed to look uncaged. Also: immerse yourself in a room full of butterflies, get a bird’s-eye view from the Skyfari ski-lift ride, and wander through the world’s largest indoor desert and swamp habitats. It’s a popular place: Buy tickets online and arrive early to cut down on crowds. Omaha's Henry Doorly Zoo and Aquarium. Photo courtesy of Visit Omaha. Chill out @ 3 p.m.
After a day on your feet, chill out in the hip Blackstone District west of downtown. Savor a scoop of farm-to-cone ice cream at Coneflower Creamery, which features classic flavors as well as unusual creations such as spicy Crackerjack and tart Lemon Bar with pastry chunks. Or have a cool one at Scriptown Brewing, a microbrewery with ghost signs on brick walls and a rustic bar. It’s one of 12 local breweries that welcomes visitors with the Omaha Penny Pack, coupons to buy one beer, get one for a penny. Ask for a Nutjob, Scriptown’s malty brown ale. Eat local @ 7 p.m. Spend the evening in the artsy Benson neighborhood. A century ago, Benson was a small Omaha suburb; today, its old downtown district has blossomed into a nightlife hotspot. At Au Courant Regional Kitchen, one of Benson’s upscale options, local ingredients get a European touch in seasonal menus. If you can’t decide on a dish, put your taste buds in the chef’s capable hands with the six-course tasting menu. Catch a show @ 9 p.m.
Reverb Lounge is just one of the spots to catch live music in Benson. Operated by a local music promoter, Reverb showcases musicians of all stripes, from national acts to locals like Benson Soul Society, a couple of DJs playing old soul tunes on vinyl. Bands perform in a simple, elegant stage room that’s walled off from a mid-century-style bar, with tufted magenta stools and booths and groovy pendant lights. The bar offers tiki cocktails, made with fresh juice and housemade syrups, as well as a sizable list of liquor and craft beer. Customers rave about the classic old-fashioned. Be an early bird @ 9 a.m. 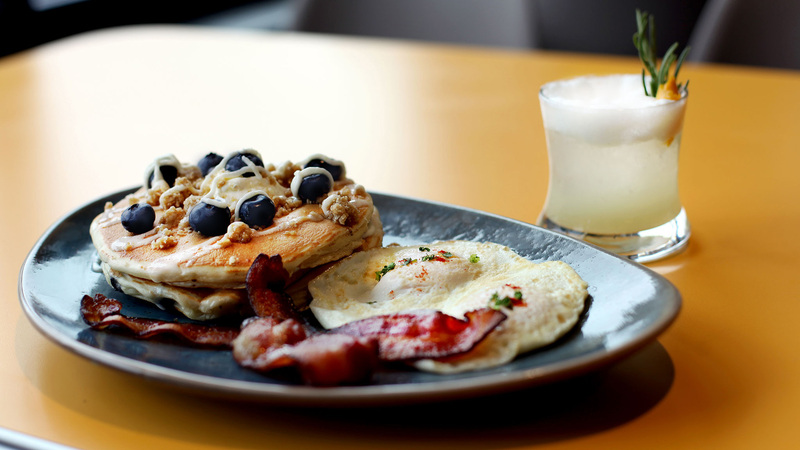 Crowds pack Early Bird, Blackstone’s hot brunch spot. While you wait for a table, enjoy a self-serve cup of coffee or a cocktail (including six Bloody Marys!) at the bar. Make new friends at the circular community booths by sharing “The Bob” giant glazed doughnut or When Pigs Fly, a sampler of housemade bacons. 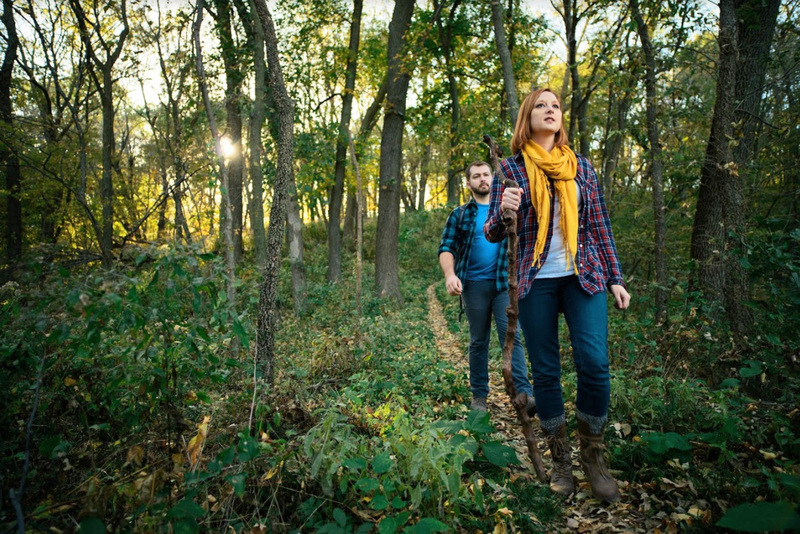 Take a hike @ 11 a.m.
Stroll on a one-mile wooden boardwalk or hike marked trails through hilly woods, wetlands and prairie at Fontenelle Forest, a surprising pocket of nature just 10 minutes from downtown. Check the website or the whiteboard at the Nature Center to see what plants and animals have been spotted lately. Afterward, get an up-close look at eagles, owls, and other birds saved by the forest’s rehabilitation program at the Raptor Woodland Refuge. Fontenelle Forest hiking. Photo courtesy of Fontenelle Forest. Catch a matinee @ 1 p.m.
A neighborhood favorite since 1925, the Dundee Theater has been lovingly rejuvenated, blending historic features with modern style and technology. Electric blue walls line the main theater, filled with plush blue velvet seats, a nod to the original design. Shows typically include new indie pics, documentaries and classic movie series. The recent upgrade made room for Kitchen Table Central, a fast casual, made-from-scratch local eatery. Eat in the sunny dining space, or choose “quiet foods,” such as little meat pies or pimento cheese bread, to snack on during the show. Want more Omaha inspiration? See Midwest Living's Omaha trip guide for a complete list of top things to do, places to eat and places to stay.